Central PA here. 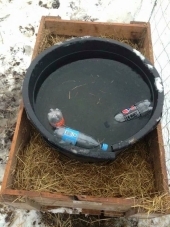 As of nov 15 we have had freezing weather what I do in the winter is empty all auto watering systems for my rabbits, quail, and chickens and go to dishes. My rabbits I have to use hard plastic dishes or they will chew them but for the chickens I find the 10$ rubber dishes at my local feed store work perfect. I fill water every evening when I get home from work sometimes before I leave if I have time. When I get home I fill a five gallon bucket bout half full and make my rounds the chickens water is frozen I just flip it over stomp it and the ice chuck falls out flip the dish over and fill it up the chickens and rabbits will drink their fill and drink until the water freezes again and they will be fine until you get around to filling it up again, being cold they are not overheating. My rabbit dishes are normally flipped already as they like to toss them around. I even used gallon milk jugs cut in half anything that can hold water and the ice can be knocked out of. Its extra work but I refuse to pay for water heaters that could go out and freeze my water lines for my auto systems. If I could raise rabbits for 8$/lb I would be increasing my current breeding stock lol. I sell them for half that to a private buyer. Not by pound just as a whole and I process them as well but in PA to sell them to any market or place that would resell or use it for commercial use you have to have an approved butcher shop or have it processed at an approved shop. In some states this isn't required and you can process your own and freeze them in packaging and take them to the farmers market to sell. I raise my grow outs on the old cow pasture to not only reduce the cost but it is a leaner rabbit as the Californian breed on feed alone does tend to get some fat on the back. Depends on the market, I was breeding pet breeds and at 5 weeks whining them and direct selling them for pets to a store at 5$ so a litter of 10 would net 50$ which would cover the cost of the feed for the doe and buck normally. As for meat rabbits the longer you have to keep the rabbit the more you cut into a profit, I raise meat rabbits for myself but I do see them on the odd occasion to private customer(I process them for him also) for 15$ each. That is 11+ weeks. I also reduce the cost of my feed by moving my grow outs into a mobile tractor that I move before I leave for work in the morning and when I get home as rabbits gorge on food at dusk and dawn as a natural way to reduce being seen by predators. As for the hides other then personal projects I do not save them and while there is a market for the rabbit manure I just place mine direct into my garden to help my crops. 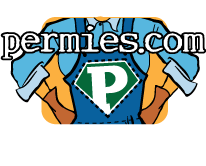 It all boils down to the demand in your area if you can find someone that wants the babies like I do then it can be worth it but again the longer you have them the more feed you use. catch wild Rabbits, breed for meat? Check your laws taking wild life from the wild can be illegal in some states. As far as that goes tho if you really want to eat them hunt them but I don't think I would trap the cottontail to raise and breed as meat rabbits. Just like different breeds of chicken different breeds of rabbits vary and the wild rabbits are more lean meat and fat wise and changing the diet from all forged food to pellets can effect the rabbit. If you want to raise rabbits for meat its best to get a breed for that otherwise to get a cottontail to adult size you may end up spending more time and money for a smaller overall product. Not to mention wild rabbits are wild and you would have a nightmare trying to handle them at all anyone that has ever had even a tame rabbit claw their arms up knows what im talking about. not to mention if it is wild and feels threated it is likely to scream and if you have never heard tht before it will wake the dead. He has the bare patches where his testicles would be since rabbits pull them back in they don't hang out like others. I had looked into the Californian breed and others that raise them for meat and they say does are ready by 5 months and bucks 6. I had other pet breeds that breed by 6 months. I always bring the doe to the buck so she isn't territorially and as far as leaving them together I did the last time for 30 min without him paying any mind to her and as far as leaving them in the same cage for extended time that is a no. One I need to know when she is breed to track kindle the male. 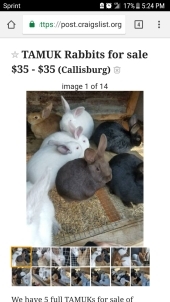 These are for raising for meat rabbits. Its not a buck that I am breeding for genes I need production out of him. No wine and dining in the rabbit hutches lol. All the breeding in the past has been rather fast as in placing the doe in the bucks pen and I would have 3 fall offs in less then 15 mins. Having bought and moved rabbits with the my brothers farm its nothing to overnight store several rabbits in a pen and one buck breed them all. I believe I am just going to buy a new buck from the other person I talked to they actually gave me a trial if he doesn't preform I can bring him back lol. So this year I bought 2 does and one buck California rabbits for raising my own for meat and they would be going on 6 months now they are good and healthy the does are visibly larger the male and they have been in spate cages since Aug. The buck is for some reason skidish the does are fine but he goes crazy when im in his pen for anything at times. I have tried to breed him with the does and nothing he does not sniff them mount them or even show any interest just sits there and I have left them in for a decent bit each time keeping an eye on them but nothing. My other rabbits I would breed for pets to sell it was instant the buck was on the doe before I could get my arm out of the cage. Again they aren't resisting him or not lifting he is just flat out not even paying any mind to them. I have someone that has 6 month old bucks and is willing to sell me one but I am unsure if I should just give up on this buck and get one from her or if I should give him a chance. I read they require light like chickens but my last breeds didn't care one bit about that and I actually have small lights like xmas lights for the chickens that also gives them additional light. I believe I am going to buy one I just would like input before I go and give up on a buck I raised all summer. 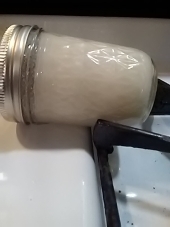 What would you use this food just like pig lard for cooking? I live on the old family farm and have my breeders hanging inside my open chicken coop to make winter months easier for my chores but i built a rabbit tractor and put the litter into the tractor shortly after moving them from the mother and move them every morning before work and evening before dark sometimes ill move them when i get home or mid day on the weekends. They chew the grass and weeds right down to the dead grass and this help cut back on the feed i give them as well. The breeders stay in cages full time but the young i grow out in the tractor its 6x2x1 how ever the next one i will make is going to be taller for the fact the rabbits were crawling out the wire roof since i used a wider wire for part of the top that or a solid top for shade. I fill a small feeder 3/4 full a day for them they eat it and the grass and hay. I also just planted comfery along the house and while it is having a rough grow from the chickens and the cat getting into it, it grow great big leaves that you can harvest and is basically super food. I feed a leaf to my breeders now and again and plan to cut and dry the rest before the cold hits too hard for winter snacks. Dont forget garden scraps look into what they can eat, i just feed a large amount of fresh carrot tops to them even had some left over i dried in the sun for a day and stuffed in the hay rack for them the next. That is what i was wondering I know with snapping turtles and crawdads we put them in fresh water to let them clean out their systems and i dont see why feeding fish as part of their diet would hurt i mean from cleaning chicken gizzards ive seen everthingfrom nails to glass in the gizzard they will eat anything, I am just wondering about how i should i think i might chunk up the fish and freeze it then just grind it up before serving it to them along with their regular feed this would kill any parasites living in the fish. I mean i am putting them inthe meadow they are already finding fresh greens and bugs to eat.